Unfortunately, sometimes court is necessary to resolve disputes. 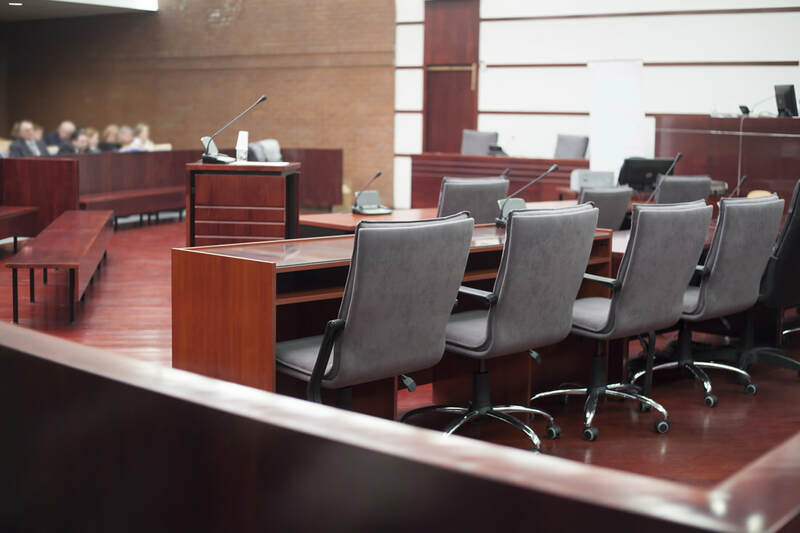 Litigation is the formal court legal process where both parties hire lawyers to provide advice and advocate their client’s positions in negotiations and court. Negotiation occurs in the context of the positional legal system, and the parties and lawyers retain the option of turning to the court as a third-party decision maker if resolution is not reached on all issues. The parties generally communicate through their lawyers regarding their positions, proposals and counter-proposals. Most negotiations occur within the confines of statutory and case law precedent and legal formulas and against the backdrop of potential of court intervention and decision-making. The lawyer negotiations/litigation process may involve the use of formal legal procedures, known as “discovery” to obtain financial and other relevant information. Discovery may include the use of depositions (a formal taking of testimony before a court reporter), interrogatories (answering lists of questions in writing under oath) and the subpoenaing of documents or other materials believed to be relevant to the issues. Further, each party may hire experts to support their positions. In some jurisdictions in cases with child custody or placement issues, the court will appoint a third party, called a Guardian ad Litem, to advocate for the interests of the children. Ultimately, if agreements are not reached, parties and other witnesses testify before a judge, who makes a ruling on each disputed issue. If either party is dissatisfied with the final court decision, they have the right to ask the court to reconsider its decision and to take an appeal of the final ruling to a higher court. Most litigation cases are eventually settled. Over 98% of all divorces are resolved short of trial through positional bargaining and negotiation. Unfortunately, settlement in this process often occurs after substantial time, money and emotion have been spent in legal conflict. Further, one or both parties may be dissatisfied with the court outcome, and they are then likely to appeal the judgment or return to court in the future to argue for modifications of specific orders. In cases involving placement of children or payment of child or spousal support, parties frequently return to court after the initial determination to seek modification of those terms in ongoing post-judgment litigation. The Milwaukee divorce attorneys at Hansen & Hildebrand, S.C. have experience in court litigation when necessary. If you are interested in determining whether this option is for you, contact us.